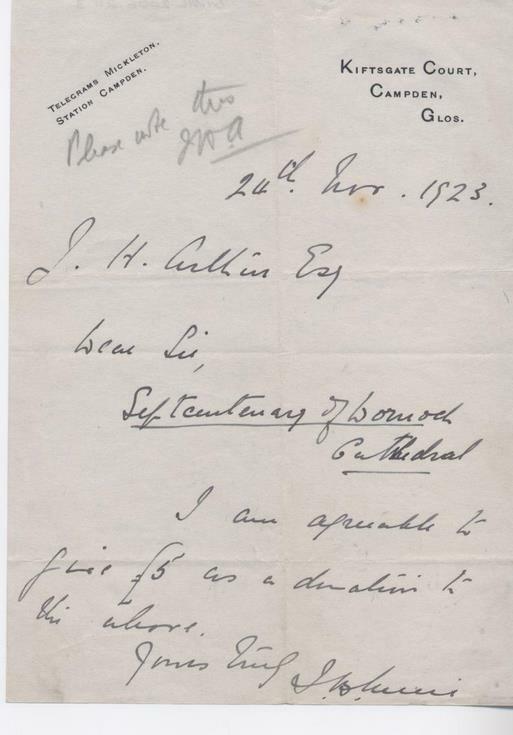 Letter to JH Arthur from someone in Campden, Gloucestershire, offering £5 donation toward cathedral septcentenary celebrations. Signature illegible. Dated Nov 24 1923.